Posted on September 21, 2015 September 21, 2015 by Meg Griffin	Posted in Book ReviewTagged Book Review, Books, Mindy Kaling, Why Not Me? This is a quick update slash book review, and if you follow me on Goodreads, then you’ll know I’m reviewing this one before A Darker Shade of Magic. I still am digesting my love for that book! In the mean time, I just finished Mindy Kaling’s Why Not Me? I read Mindy’s first book, Is Everyone Hanging Out Without Me? in 2013, two years after it had been published. Though I am proud to admit I have never watched The Office (proud because it annoys my dearest best friend to the point where he pulls out his hair….love you Josh!) I knew who Mindy Kaling was and actually love her show The Mindy Project. Her first book inspired me quite a bit, as all memoir type books by successful, hilarious, and intelligent females do. When I saw that she was putting out a second one, I instantly added it to my list of books to get. I was a little worried before reading this one (or rather, listening to it, as it was my latest audiobook collected). I had grown weary of The Mindy Project, and haven’t actually watched all of season 3. When it was cancelled, I was outraged, and vowed to watch season 4 on Hulu (which, episode 1 did not disappoint.) 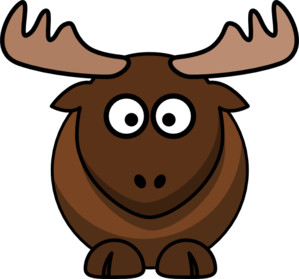 Would Mindy post semi-famous status be as fun and lighthearted? Turns out, yes. I finished most of this book at work today. I giggled several times (since listening to the Nerdist on regular basis, I try to tone down my laughter for my wall-mates). Mindy talks about her life after getting to LA, starting a new series, her dating life, dealing with losing a friend, her soup-snake BJ Novak, (whose first book is on my table to read, I swear!) what stresses her out at night, her mentors, and giving a speech to Harvard Law graduates. Side note: If you haven’t watched her speech at Harvard Law’s 2014 Class Day Ceremony, go see it here. She’s awesome. Mindy Kaling is still amazing and still remains one of my role models. Then again, any woman following her dreams, whether successful or not, who still seems to be kind, pleasant, confident….that’s a role model. Plus, she’s met the POTUS, even hugged him! So in closing, I recommend both of her books. She’s great, she makes me feel like I can succeed, and I envy her in a completely not evil or bad way…..? 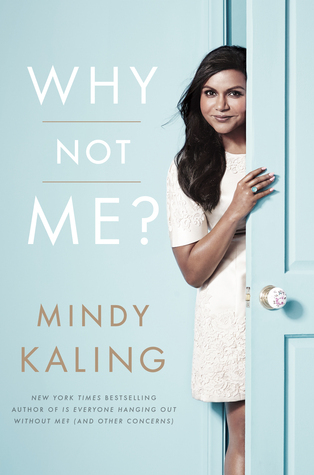 I read Mindy’s first book and really enjoyed it, so I’ve been wanting to read Why Not Me? ever since it was released! I’m glad you enjoyed it.